Hundreds of people gathered in Vilnius' Antakalnis Cemetery on Wednesday to mark the 73rd anniversary of the Soviet victory in World War II. Many people wore the orange-and-black St. George ribbons and held red carnations or wreaths. There were schoolchildren among them. A number of World War II veterans attended the commemoration and some people carried portraits of soldiers killed in the war. Russian and Belarusian diplomats attended the commemoration, as they do every year. Police estimate that around 500 people gathered in Antakalnis Cemetery, Ramūnas Matonis, spokesman for the Police Department told BNS. Members of the Electoral Action of Poles in Lithuania–Christian Families Alliance (LLRA-KŠS) were also among those present at the ceremony. MEP Valdemar Tomaševski, the LLRA-KŠS leader, said that members of the party had also honored the memory of the war's victims in other places around the country on May 8. "We ought to mark these anniversaries in a normal way, rather than politicizing that. It doesn't matter whether on the eighth or on the ninth (of May)," he said. Lithuania, like many other European countries, officially marks the end of World War II on May 8, the day when the Allies formally accepted Nazi Germany's unconditional surrender of its armed forces in 1945. 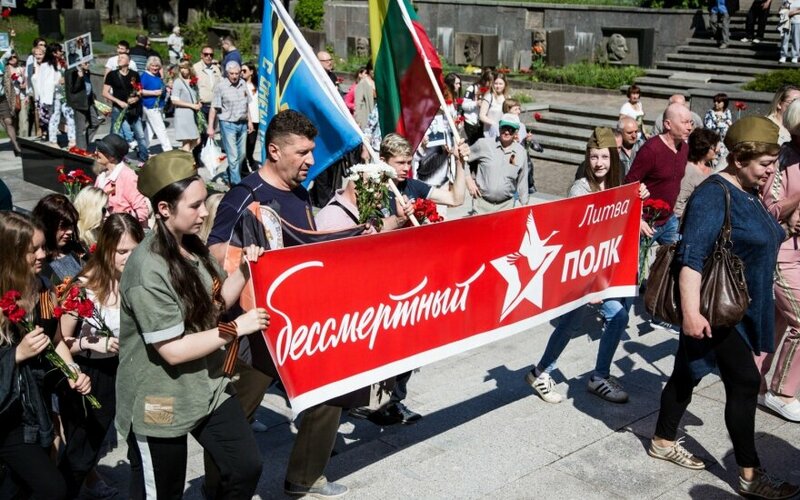 The celebration of the Soviet victory on May 9 is a controversial issue in Lithuania, which remained occupied by the Soviet Union after the war ended and experienced repressions, mass deportations to Siberia and forced collectivization in subsequent years. 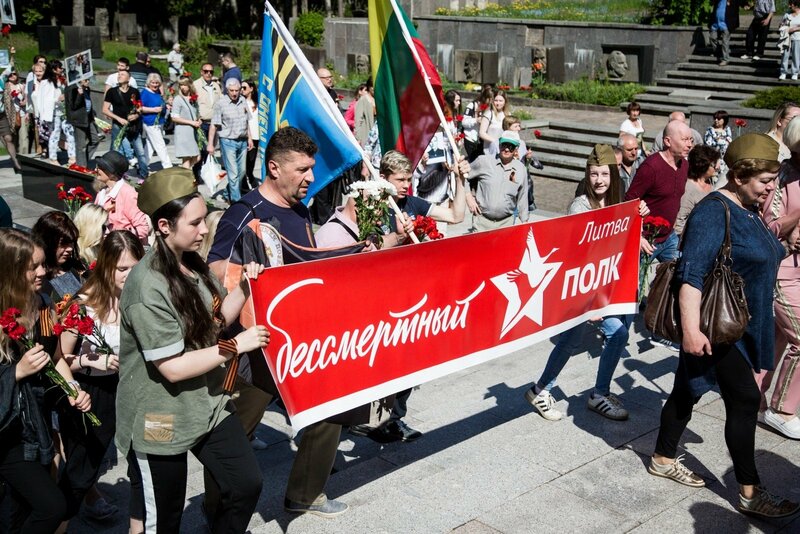 Poland's ambassador to Lithuania, Urszula Doroszewska, said last year that celebrating the end of World War II on May 9 was not consistent with historical truth as the day was not victorious neither for Poland nor for Lithuania. Tomaševski said that he partly accepted the position. "I believe it's not proper for us, just like for the Poles, to celebrate either May 8 or May 9. And I'm not celebrating. We honor the victims," he said. World War II claimed some 50 million to 55 million lives, including 30 million civilians. Some 275,000 people died in Lithuania, including 195,000 Jews killed during the Holocaust. The period between the end of the war and 1952 saw 275,000 Lithuanians sent to forced- labor camps or deported and over 20,000 participants of resistance efforts and their families and supporters killed. Proposed Ethnic Minority Law – respect to minorities or spreading chaos?